Sunday, June 13, 2010, 9:00am - 3:00pm. Ride duration varies. 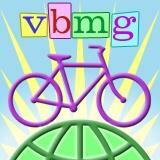 Click on the link and join the VBMG! By: CindyWe are recreational cyclists who like to explore Vancouver and the surrounding regions on our bikes. Our focus is on having fun, friendly and safe bike rides. In this group you will find many types of rides offered by our team of volunteer organizers.